Welcome to the Gurdjieff International Review—a source of informed essays and commentary on the life, writings, and teachings of George Ivanovitch Gurdjieff. Mr. Gurdjieff was an extraordinary man, a master in the truest sense. His teachings speak to our most essential questions: Who am I? Why am I here? What is the purpose of life, and of human life in particular? As a young man, Gurdjieff relentlessly pursued these questions and became convinced that practical answers lay within ancient traditions. Through many years of searching and practice he discovered answers and then set about putting what he had learned into a form understandable to the Western world. Gurdjieff maintained that, owing to the abnormal conditions of modern life, we no longer function in a harmonious way. He taught that in order to become harmonious, we must develop new faculties—or actualize latent potentialities—through work on oneself. He presented his teachings and ideas in three forms: writings, music, and movements which correspond to our intellect, emotions, and physical body. In this, our twenty first issue, we explore a subject that this publication would never have had the audacity to attempt, were it not for the initial suggestion and written contribution of Paul Reynard, to whom this issue is dedicated. A complete printed copy of this issue can be ordered from our online store. 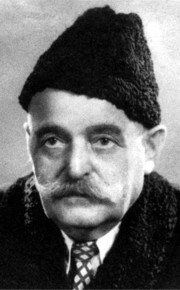 A selection of excerpts about Gurdjieff’s Movements from Thomas de Hartmann, Jeanne de Salzmann, Jessmin Howarth, Pauline de Dampierre, Joanna Haggarty, Paul Reynard, Henri Thomasson, Stafford Ordahl, and Gurdjieff himself. The Gurdjieff International Review is published by Gurdjieff Electronic Publishing. Any information or opinions expressed herein do not necessarily reflect the views of the publisher or editors.